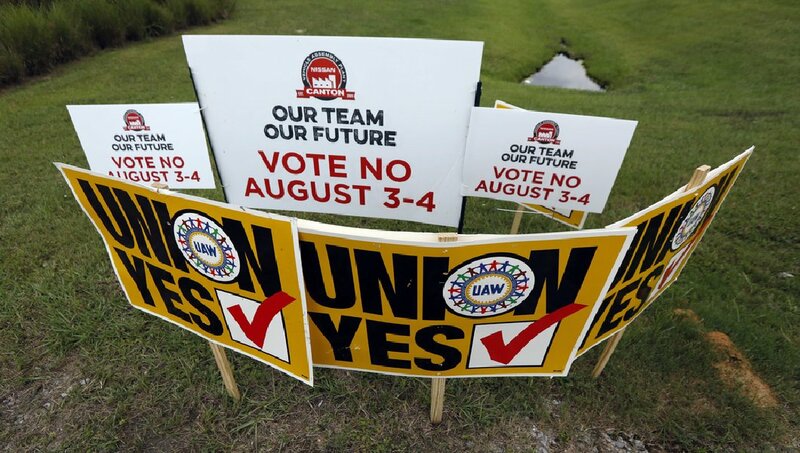 In a closely watched vote, Nissan workers at a Canton, Miss., plant rejected the United Auto Workers by a 2-to-1 margin in an organizing vote concluded late Friday, dealing a major blow to the union’s hopes to make inroads in the south. The vote was 2,244 to 1,307. “With this vote, the voice of Nissan employees has been heard. They have rejected the UAW and chosen to self-represent, continuing the direct relationship they enjoy with the company. Our expectation is that the UAW will respect and abide by their decision and cease their efforts to divide our Nissan family. Now that the election is complete, Nissan will focus on bringing all employees back together as one team, building great vehicles and writing our next chapter in Mississippi,” the company’s North American branch said in a statement.